Jennifer's 365 Project: 760/365 - Tasty Sunday! 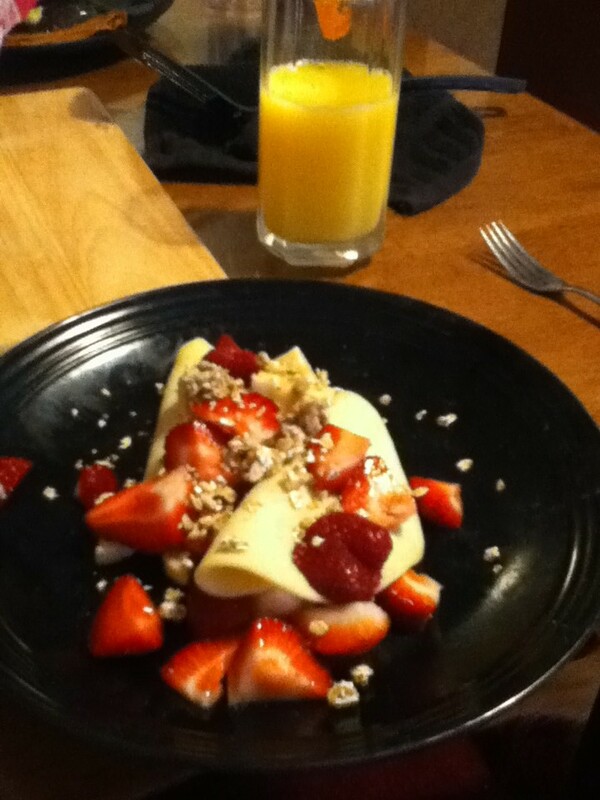 Inspired by a tasty breakfast I had in San Francisco (at an iHOP, no less), I decided to make crepes this morning. It's been awhile since I've made them so I figured why not. With fruit and granola they were tasty! I should really make breakfast on the weekend more often. 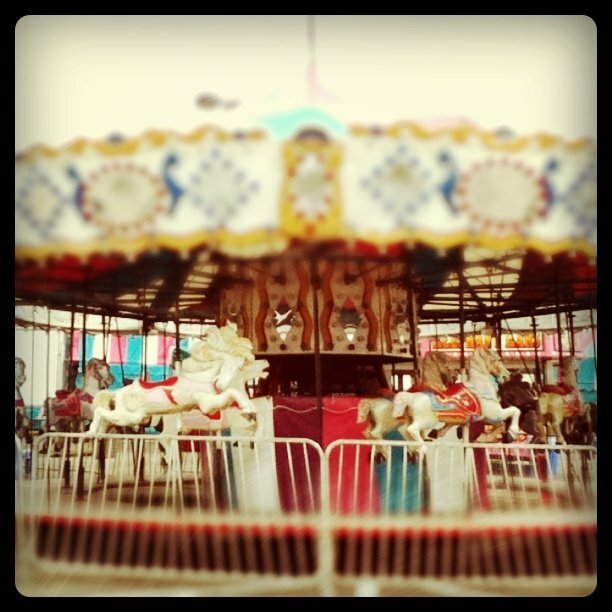 We did see a carnival being set up next to the Toys R Us across from the mall. Normally the set it up in the mall parking lot, but maybe since the department store over there has moved they're taking advantage of the empty parking lot. If you like spinning in a circle on various musical rides, you'll soon be able to!